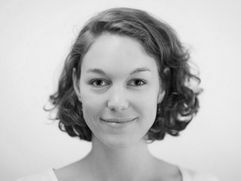 Since November 2015, Tina Böhme has been a research fellow in the project “Education for Sustainable Consumption through Mindfulness Training (BiNKA)” funded by the Federal Ministry of Education and Research (BMBF). She is currently working on her doctoral thesis about the effects of a mindfulness-based training with consumption focus with adolescents at school. Böhme, T., Geiger, S.M., Grossman, P., Schrader, U., Stanszus, L. (2016). Arbeitsdefinition von Achtsamkeit im Projekt BiNKA. Paper on the working definition of mindfulness in the BiNKA project: http://achtsamkeit-und-konsum.de/en/publications2/.